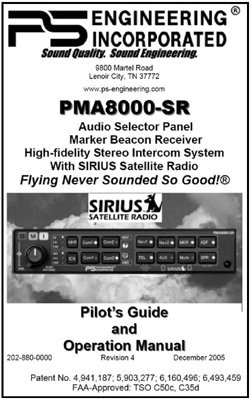 This is the official Pilot\'s Guide for the PMA8000-SR Audio Panel/Satellite Radio/Marker Beacon system from PS Engineering. It covers the function of each control and some of the more common procedures. 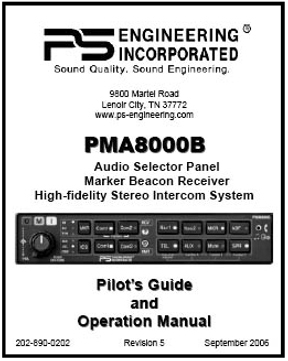 This is the official Pilot\'s Guide for the PMA8000B Audio Panel from PS Engineering. It covers the function of each control and some of the more common procedures. 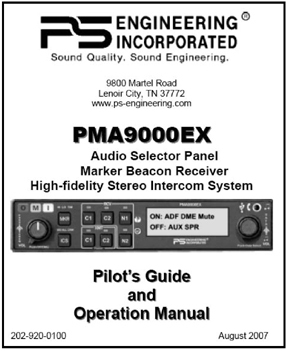 This is the official Pilot\'s Guide for the PMA9000EX Audio Panel from PS Engineering. It covers the function of each control and some of the more common procedures. 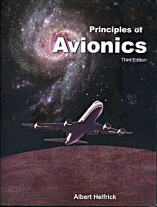 Principles of Avionics gives an excellent overview of emerging and traditional avionics systems. The reference book begins with a short history of avionics development before explaining all the avionics systems found in modern aircraft. System functions are explained in detail, including their role in the aircraft and air traffic control system. 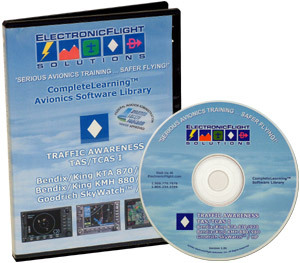 Written for avionics technicians or engineers, the in depth knowledge of the systems would also benefit a technically savvy pilot. All current systems are covered, and the book is a must for anyone interested or working in the field of avionics. 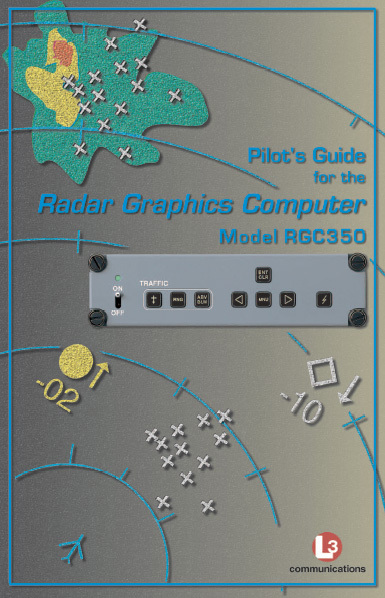 The Third Edition adds new material to keep up with the rapidly changing field of avionics. Now included are chapters on terrain warning systems, databusses and aircraft networking. 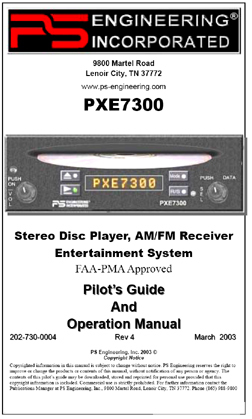 This is the official Pilot\'s Guide for the PXE7300 CD/MP3 player & AM/FM radio receiver from PS Engineering. It covers the function of each control and some of the more common procedures. 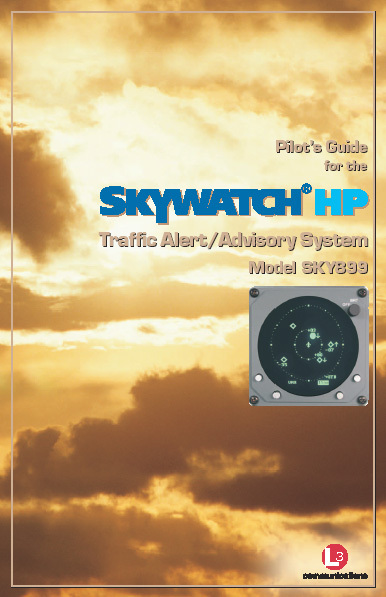 This is the official Pilot\'s Guide for the Skywatch HP Traffic Awareness System from L-3 Communications (BFGoodrich). It covers the function of each control and some of the more common procedures. 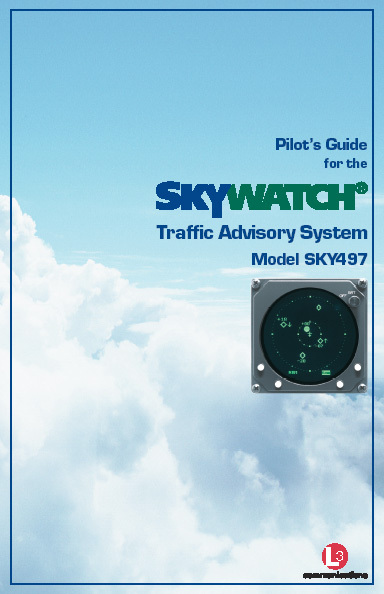 This is the official Pilot\'s Guide for the Skywatch Traffic Awareness System from L-3 Communications (BFGoodrich). It covers the function of each control and some of the more common procedures. 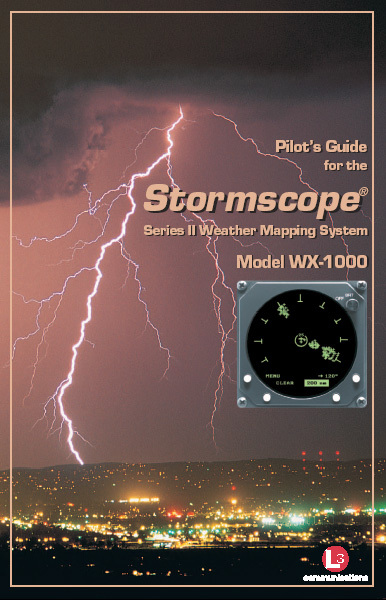 This is the official Pilot\'s Guide for the WX-1000 Lightning Detection System from L-3 Communications (BFGoodrich). It covers the function of each control and some of the more common procedures. 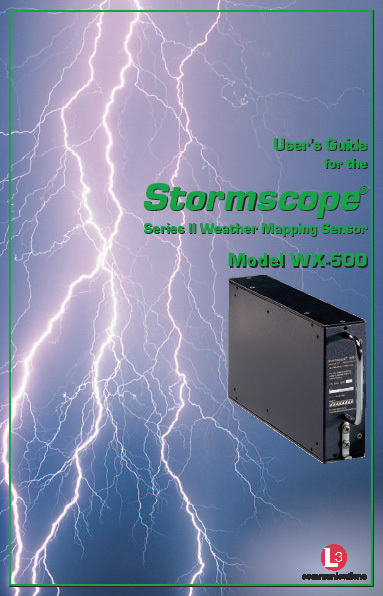 This is the official Pilot\'s Guide for the WX-500 Remote Lightning Detection System from L-3 Communications (BFGoodrich). It covers the function of each control and some of the more common procedures. 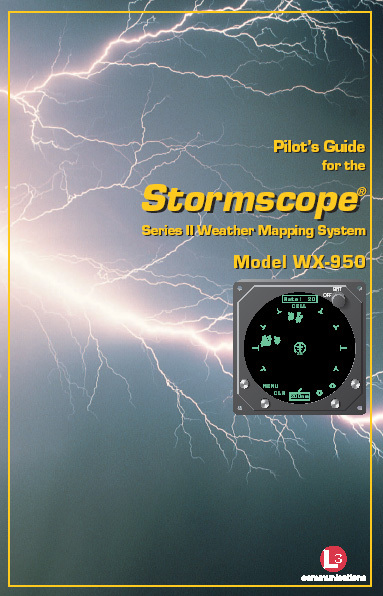 This is the official Pilot\'s Guide for the WX-950 Lightning Detection System from L-3 Communications (BFGoodrich). It covers the function of each control and some of the more common procedures. 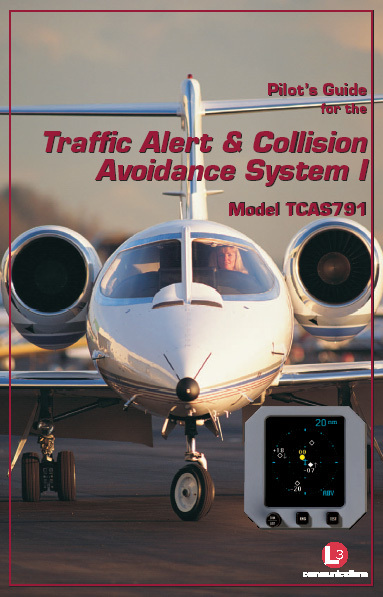 This is the official Pilot\'s Guide for the TCAS 791 Traffic Alert and Collision Avoidance System (TCAS I) from L-3 Communications (BFGoodrich). It covers the function of each control and some of the more common procedures. The intuitive software interface makes this as easy to use as reading a book. Computer learning tools in the form of cockpit representations and demonstrations of the tasks combine with a Part 141 and and FITS-compliant G1000 course, which is given by Skyline Aeronautics and in forums around the country. 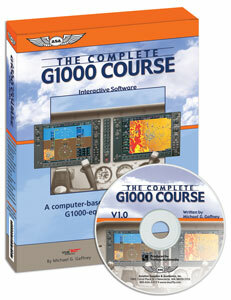 In this way the software teaches you how to safely and efficienty use the G1000 without running up the Hobbs! You\'ll stay engaged throughout the course; you have the option of of reading and navigating through the program yourself, or listening to the narrator as he guides you through the course. The search function means you can navigate directly to a specific keyword or topic for a quick refresher. Using scenario-based training throughout, each lesson concludes with a summary and a quiz to ensure you understand the material. A student record tracks your progress and at the completion you will receive a framable Certificate of Completion as proof of your accomplishment. 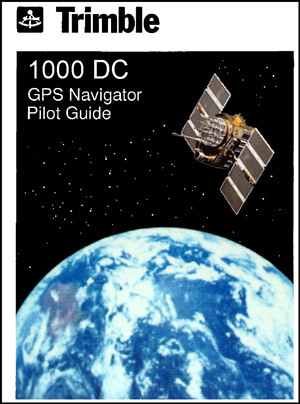 This is the official Pilot\'s Guide for the 1000DC GPS Navigator from Trimble (FreeFlight). It covers the function of each control and some of the more common procedures. 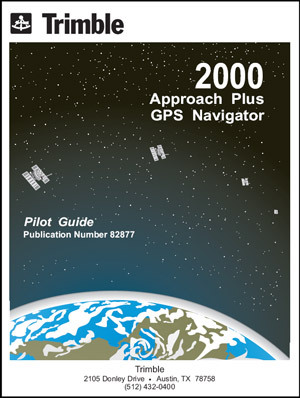 This is the official Pilot\'s Guide for the 2000 Approach Plus GPS Navigator from Trimble (FreeFlight). It covers the function of each control and some of the more common procedures. 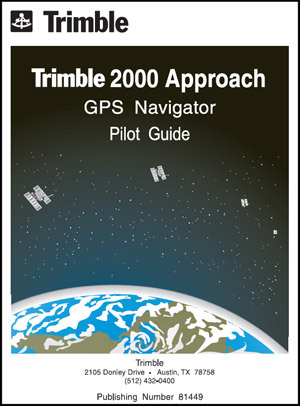 This is the official Pilot\'s Guide for the 2000-Approach GPS Navigator from Trimble (FreeFlight). It covers the function of each control and some of the more common procedures. 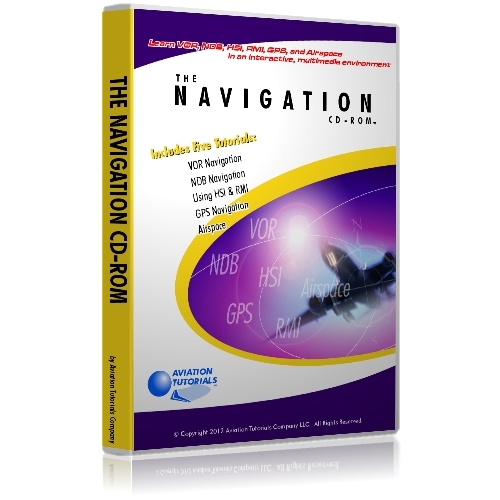 This is the official Pilot\'s Guide for the 2000A GPS Navigator from Trimble (FreeFlight). It covers the function of each control and some of the more common procedures.